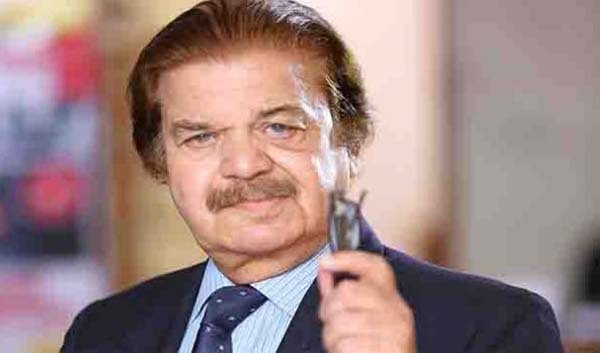 MULTAN, Feb 12 (APP)::Pride of Performance winning artiste Shakeel Yousuf, popularly known as Shakeel, Monday said that legendary TV actor late Qazi Wajid was not only a fine human being but he also had a ‘tremendous’ sense of humour. Talking to APP by phone in connection with Qazi Wajid’s first death anniversary, Shakeel said that he had a long association with him spanning over 40 years. He informed that he had a lively personality and remained well-dressed. He reminisced that late Qazi Wajid and late Mahmood Ali had distinctive voices who were well versed with ebb and flow of accent. Qazi Wajid performed as a stammer in the drama “Zair, Zabar and Pesh” and acted as perfectionist in it, Shakeel said adding that there were a few artistes nowadays who had this quality as the lot of such artistes was diminishing gradually. The actors of the past used to put their heart and soul in every characters and “got under the skin of their characters” Shakeel said adding that he had learnt a lot from Mahmood Ali, Subhani-ba Younus, Qazi Wajid and other fellows. “Qazi Wajid and I have worked in several TV serials including Ana, Afshan, Urasooa,” he informed. “We were best friends and had family relations,” the known actor said adding that he was a regular artiste of drama writer Khawaja Moin uddin plays which included: Taleem-i-Balghan, Mirza Ghalib Bundar Road Pur etc,” he stated. Talking to APP Senior Actor, Director, Writer and Broadcaster Mohsin Gillani said that seasoned artiste Qazi Wajid not only touched the heights of fame through radio, but also gave other actors chance to boom. He stated that Qazi Wajid was a versatile actor who performed naturally in every character, whether it was a comedy, tragedy or light role. ‘Mirza Ghalib Bundar Road Pur’ was his all time hit theatre play wherein he had a chance to perform with the legendary actor Mohsin Gillani, he said, adding that he had learnt a lot from Qazi Wajid while staging the play in different cities of Punjab. Accompanied by Mehmood Ali and Subhani-ba-Younus, he performed in the play directed by another great actor Qavi Khan, he reminisced. Qazi Wajid did not get the status, he deserved, Gillani regretted, saying that he was an actor par excellence. The artiste said that he worked with Qazi Wajid in a private production during his last days of life when his health was deteriorating. Starting his career as staff artist at Radio Pakistan, he ruled the television too by his decent acting, Gillani recalled. The vacuum created by legendary actor’s death, would not be filled for years, he stated.